Neymar has combined his recovery with a Spiderman gaming session as he fights for fitness ahead of PSG’s Champions League clash with Liverpool. The Brazilian striker posted a photo on his Instagram story of him lying in bed playing Playstation as he receives treatment for what appeared to be a muscular injury he picked up while playing for Brazil. PSG will be hoping the world’s most expensive player will be fit to face Jurgen Klopp’s side on Wednesday, knowing a defeat could see them exit the competition. If PSG lose and Napoli beat bottom-of-the-table Red Star Belgrade then the French side will exit the competition. The former Barcelona forward captioned the photo with ‘Recovery’ and a gaming controller and spiderweb emojis. 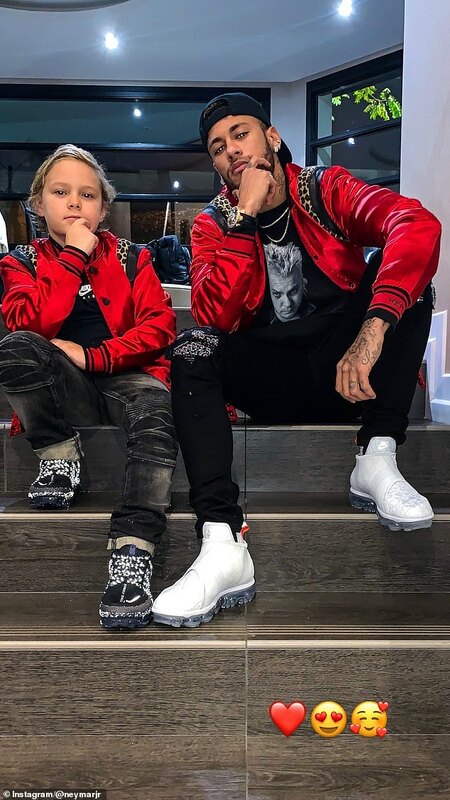 Neymar also posed with his son in a laid-back manner whilst wearing matching stylish clothes. The PSG forward is expected to miss the French side’s clash with Toulouse on Saturday but is likely to be thrown into the side against the Reds. Kylian Mbappe also picked up an injury while on international duty with Didier Deschamp’s side and is a doubt for the crunch Liverpool match. 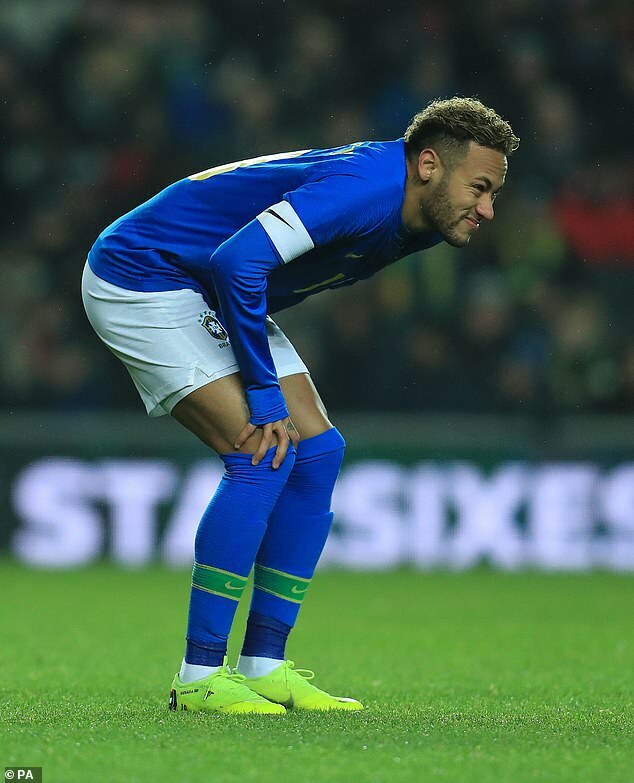 The French striker injured his shoulder in France’s 1-0 win over Uruguay on the same night Neymar was injured in a cruel blow for Thomas Tuchel’s men. Liverpool beat PSG 3-2 at Anfield on the first Champions League matchday.